If you have been following me this year you know my hair has drastically changed in 2016. In a one year period, I went from having black hair to three stages of blonde and now I’m working my way back to brunette! Needless to say, I put my hair through a lot, but it also means that I had to step up my haircare game! 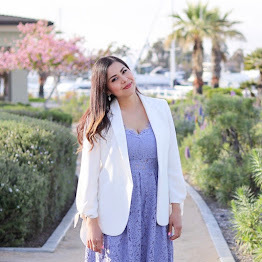 Some of the products that I steered to were the Dessange Paris Salon Color Restore Collection which can be found exclusively at Target. Dessange products are like sophisticated hairdressing expertise in a bottle and the best part is they are affordable! Dessange Paris is composed of four key collections: California Blonde, Solar Blonde Naturale, Salon Color Restore and Oleo Miracle. I chose the Salon Color Restore Collection because my goal is maintain my color treated hair looking shiny. The collection is a three step process of the Dessange Salon Color Restore Shampoo, Conditioner and the Top Coat Serum Treatment (all of which are given away at the end of this post)! Upon trying the shampoo I enjoyed the scent because it smells sophisticated. If it smells too strong for you at first, I found that it dissipated when I was rinsing it off. The conditioner definitely eased the tangling! And then my favorite part is the Top Coat Serum. I tried it two ways: on damp hair and on styled hair. My damp hair absorbed the top coat serum and felt silky when it dried as it acts as a leave in conditioner. A pump or two of the Top Coat Serum after styling brings out the shine and makes the 'do look silky! 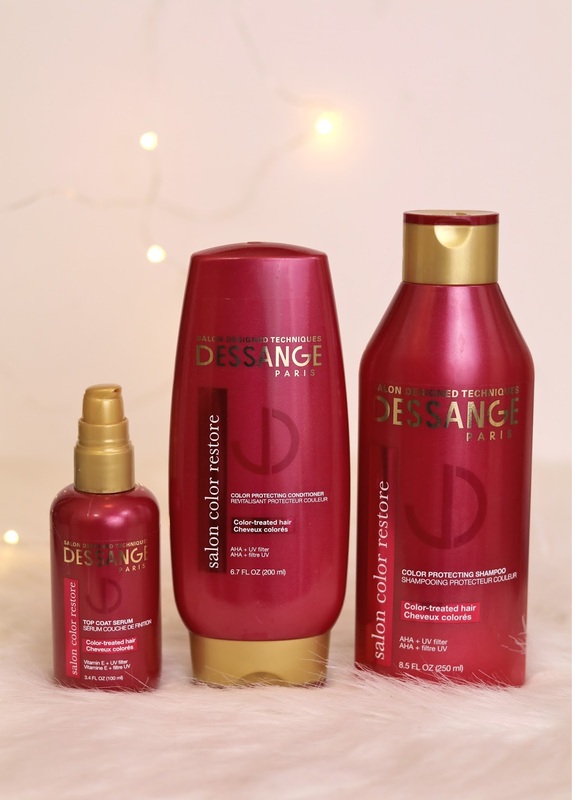 Prize: The Dessange Paris Salon Color Restore Collection (3 items: Dessange Paris Salon Color Restore Top Coat Serum Treatment, Dessange Salon Color Restore Conditioner, Dessange Salon Color Restore Shampoo). Use the Rafflecopter below to enter where the more ways you follow, the better chance you have of winning this prize! This Giveaway will run until 11:59pm PST December 23, 2016 and is open to U.S. residents only. The winner will be chosen at random using Rafflecopter's random.org, verified, and contacted via email! Winner will have 24 hours from the email to claim prize, if not a new winner will be chosen. Please note that this post is in collaboration with Dessange, however all opinions are my own.